This chair is a size B (medium). It has Graphite Pellicle material that conforms to the user’s body and retains its original shape when unoccupied. 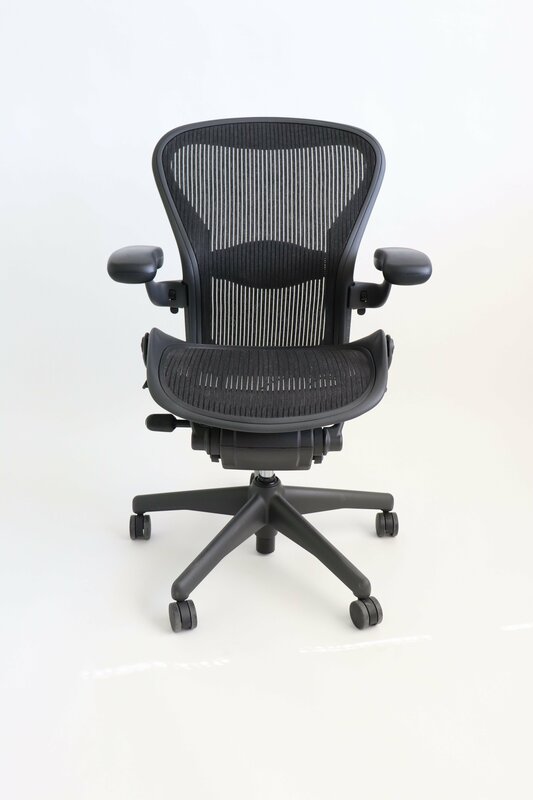 The material is lightweight and breathable and distributes the user’s weight evenly over the seat and back of the chair. 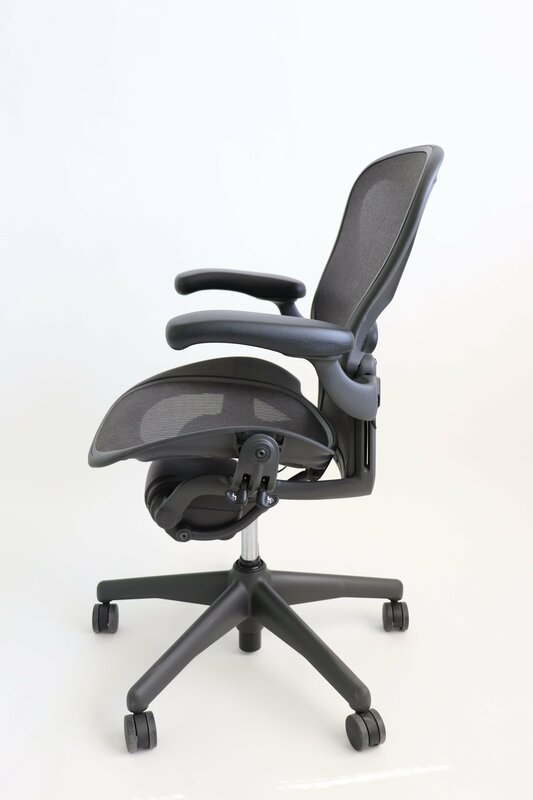 The chair has pneumatic height adjustment and a Kinemat tilt that lets the body naturally pivot at the ankles, knees, and hips. 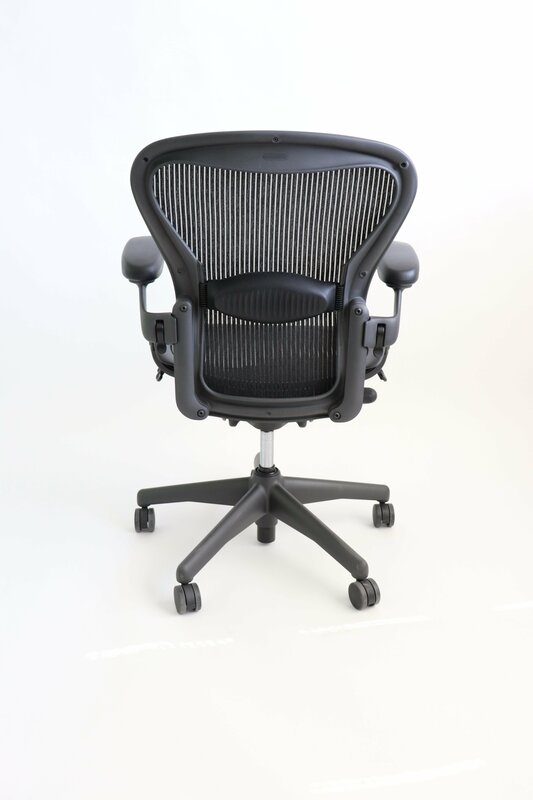 It has adjustable arms, forward tilt, back tilt lock, and lumbar.